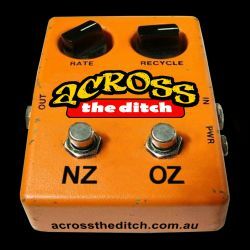 Across the Ditch (ATD) is a new Australian based band that pays tribute to several decades of some of the often underrated songs that have been written and recorded by Australian & New Zealand bands. An equal serving of pop rock anthems and timeless songs from both sides of the Tasman. The band is a project of Australian born guitarist/vocalist Andy Dickson, who ironically made a name for himself as frontman for award winning New Zealand band The Narcs and was an original member of the Australian band/recording artists Ghostwriters. Brisbane based drummer Darryl Bowers and bassist Peter Cook complete the core of the line up. They are two of Australasia's most accomplished musicians who both have a long list of credits within the industry. Often shows will include surprise appearances from other musicians which always adds to the fun. The idea with ATD was to bridge the gap and unite our Aussie & Kiwi friends for a good boogie and singalong as we celebrate the songs and artists we have collectively come to know and love. 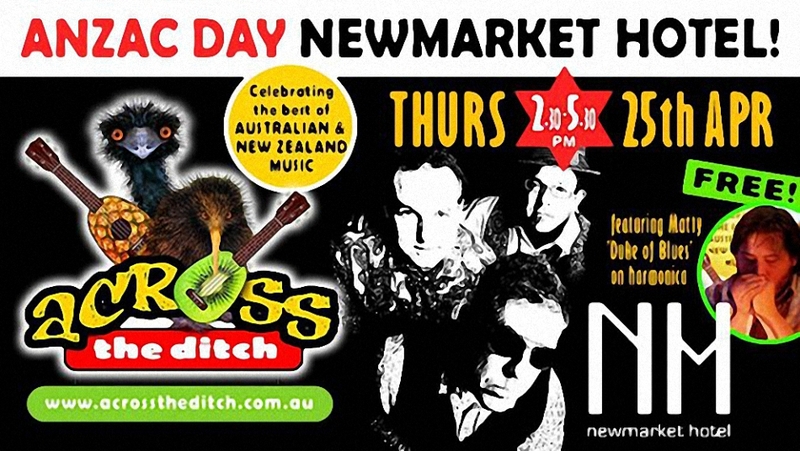 Dragon, Australian Crawl, Split Enz, La De Das, Dave Dobbyn, The Exponents, Ray Columbus & the Invaders, INXS, The Narcs, Hello Sailor, Spectrum, Paul Kelly, Max Merritt & the Meteors, The Mutton Birds, The Easybeats, The Church, Herbs ...and more! Appearing along with us again at Alderley are Diddly Squat who were finalists on the ABC television series Exhumed.